Although the difference between anti-spam and captcha is hardly much a difference but both at the end have got their own set of roles. Every day your site or blog experienced a lots of spam comments – hit by spammers – and anti-spam are techniques by which one will avoid them. On the other end, captcha is one such measure which has been taken at an initial stage itself in order to avoid those spams. 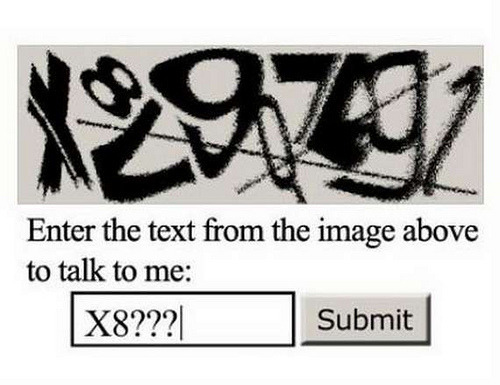 Captcha basically is an entrance gate which allows entrance to only those who are REAL or in simple words ARE HUMANS. In order to have you select the best WordPress Captcha plugin and to make your job of searching the one simple, we have selected the best available plugins out there. The plugin is a simple, easy-to-solve and efficient captcha plugin for fighting spam in WordPress comments. The plugin lets you design your own CAPTCHA and put your users and your website at first priority. The plugin is the free unique anti-spam solution and does not require any text typing. Moreover, the captcha contains social features. The plugin lets you add CAPTCHA anti-spam methods to WordPress on the forms for comments, registration, lost password, login, or all. The plugin allows you to have a customizable WordPress captcha contact form with frontend TinyMCE editor. The plugin presents a mini-game CAPTCHA that blocks the bots while giving your users a few moments of fun. It’s a real security solution hardened by experts and automatically updated to provide the best protection. The plugin is a clickable, picture CAPTCHA that stops spam and malicious bots, while remaining very easy for people to solve. The plugin is based on encrypted text and paired with matching web fonts so user will see clearly the challenge text while the spam programs see the underlying encrypted text. The plugin is a powerful and highly customized WordPress plugin that effectively protects your WP blogs from spammers and unwanted persons. The plugin adds a CAPTCHA field to your comment form, using the API provided by the Really Simple CAPTCHA Plugin to provide the CAPTCHA image and validation.